Knowing the age a device is valuable to advertisers and enhances audience analytics. The age of a user’s device visiting your website is a excellent indicator of whether that viewer is an early adopter. If a visitor to your website is using the latest iPhone or Samsung Galaxy, then they are likely to be among early adopters. This audience segment is much more willing to spend income on new items and frequently upgrade. More importantly, they influence other mainstream buyers when they are ready to purchase. Profiling users by the age and price of their phone is an extremely useful tool to target the audience advertisers crave. 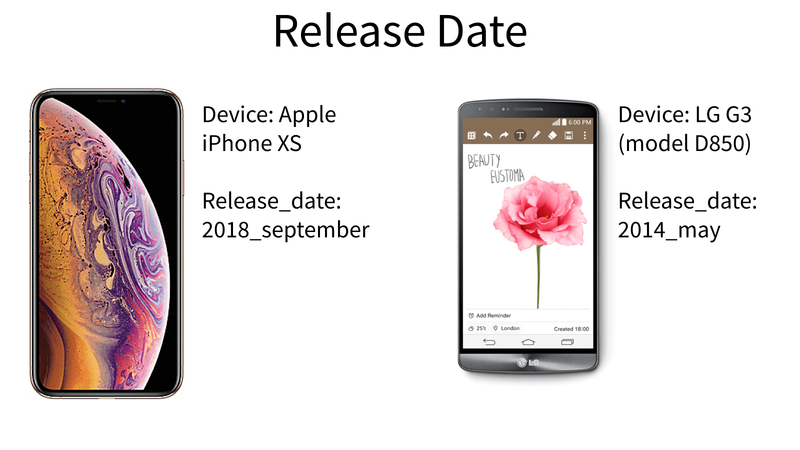 ScientiaMobile can help you instantly identify the age of smartphones, tablets and other devices visiting your site by using our WURFL capability release_date. It returns the month and year the device model was released. It is very important to have the monthly granularity to gauge upgrade cycles and age more precisely. You can see the results of your own smartphone by visiting our Device Detector Tool. To integrate WURFL device detection into your website and leverage release date, you have a number of WURFL product options to choose from. After integrating WURFL, your applications can use release_date to target advertising or deliver customized content to certain smartphone profiles. If you are looking for some excellent research on the age of devices, upgrade cycle and the secondary market for smartphones, we wrote a blog to accompany the Mobile Overview Report 2017 Q4. Aslo, you can watch this webinar we did with HYLA Mobile examining the secondary market and upgrade cycles. We typically package the release_date WURFL capability with MSRP or the Manufacturers Retail Price. These two WURFL capabilities provide excellent economic and technographic profiling tools. Learn about more about our advertising offerings here.